The U.S. Environmental Protection Agency (EPA) is working on a new arsenic regulation, stemming from amendments to the 1996 Safe Drinking Water Act (SDWA). The regulation, which was first published for comment in the Federal Register in May and is expected to be finalized by Jan. 1, 2001, proposes an arsenic maximum contaminant level (MCL) of 5 to 10 micrograms per liter (mg/l). EPA is currently conducting research to support the new rule, and will set the final MCL based on the outcome of these studies. 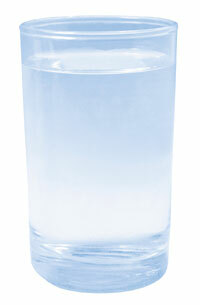 Current EPA regulations limit arsenic in drinking water to an MCL of 50 mg/l. However, epidemiological studies have shown a one in 1,000 lifetime risk for bladder cancer in populations exposed to higher concentrations of arsenic. This risk greatly exceeds EPA's norms for health effects. The World Health Association guideline is 10 mg/l and arsenic is regulated at this or even lower levels in several countries. While the National Academy of Sciences proposes an MCL of 2 mg/l, the American Water Works Association (AWWA) and other utility organizations would like to see it set at 10 mg/l. Drinking water treatment facilities must meet the revised arsenic regulation by January 2004, unless they request a two-year extension from the state while constructing capital improvements. Approximately 5 percent of groundwater systems will need additional treatment to comply with a MCL of 10 mg/l and 10 percent will need treatment to comply with an MCL of 5 mg/l. For systems that produce more than 1 million gallons per day, this represents approximately 300 to 600 systems that will require new treatment equipment. The number of small systems that require new equipment will be much greater. In finished treated surface water, arsenic is not usually present in concentrations above 5 mg/l, since conventional coagulation effectively removes it. Therefore, few surface treatment plants will require new equipment to comply with the regulation. Some plants, however, may need to switch from alum to ferric coagulants. Inorganic arsenic is more commonly found in water than organic arsenic and is present as arsenite (As2O3) or Arsenate (HAsO42-). Because As2O3 is uncharged, it is less easily removed by coagulation and is not removed by ion exchange. Dissolved arsenic must therefore be oxidized to HAsO42- before it can be removed. Chlorine and potassium permanganate are effective in oxidating arsenic to HAsO42-. Due care should be used when applying chemical oxidation to produce HAsO42-, as by-products such as tri-halomethanes (THMs) and haloacetic acids (HAAs) and bromates are also potentially harmful and are regulated contaminants. Oxidation by-products are of particular concern in surface water. New filter media/new sorbents. New sorbents and filter media have been developed for arsenic removal. These are either tailored activated alumina formulations or iron-based media. RO or nanofiltration (NF) reject streams. Backwash waste disposal may not pose any special concerns. Where ferric coagulants are used, it appears that the arsenic is tightly bound to the ferric hydroxide, so that several studies have found that this material passes TCLP tests. In these circumstances, disposal to sanitary landfill is a possibility, depending on local circumstances. The regenerant waste for arsenic sorption and ion exchange may require more treatment before final disposal. One option is to remove the arsenic by coagulation, producing solids similar in character to those derived from backwash waste. The additional costs for this waste treatment process must be considered in the overall process economics. There is some evidence that these waste treatment costs will weigh against the adoption of ion exchange for arsenic removal. Some iron-based sorbents are designed to be single use materials, ultimately generating ferric hydroxide waste similar to coagulant sludge. These materials avoid many of the concerns associated with sorbent regenerant waste. RO reject disposal is of concern because of the large volume (15-30 percent of the raw water flow) and salinity of the liquid waste stream. Given the need to conserve scarce water resources and the concentration of arsenic problem sites in the arid Southwest, this large waste streams produced by RO and NF will weigh against these processes in process evaluation. This article appeared in the June 2000 issue of Environemental Protection magazine, Vol. 11, No. 6, p. 64.